ETH Zurich and IBM Rüschlikon announced on May 6th that Aquasar is operational. 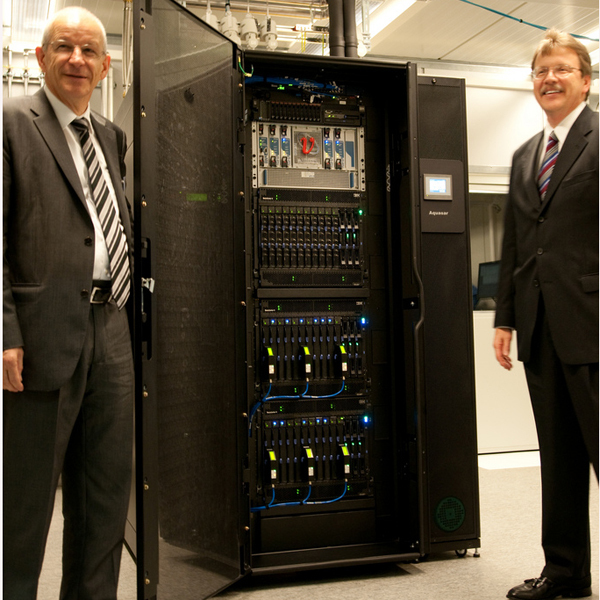 Aquasar is an HPC system developed together by the two institutions using water to directly cool the integrated circuits. The water with a temperature of about 60 oC is used to heat the building of ETH Zurich. The goal of this research project is to reduce the energy footprint of computing systems: It is assumed that computers use about 5 to 10% of the electricity worldwide. Aquasar has a computing power of 6 Teraflops and consumes about 20 kilowatt of electricity. Water cooling on the chip may be the big next step to build larger supercomputers and to go to Exaflops.